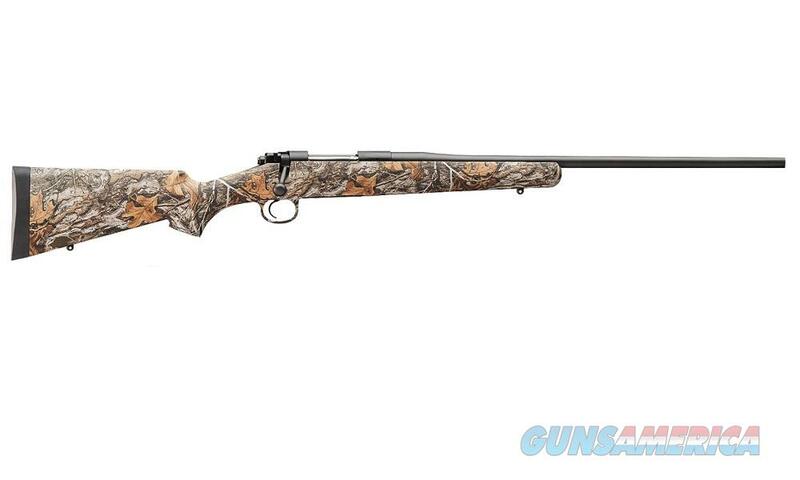 The Kimber Hunter is built to be a durable all weather hunting rifle. It offers the Kimber 84M performance in a high quality synthetic stock with a removable magazine. Built on the 84M action, this rifle features a weather resistant stainless steel barrel and action with a Black KimPro II finish, a match grade chamber, a 22 inch barrel, drilled and tapped for scope mounts, 3 - position wing safety, Mauser style claw extractor, adjustable trigger, a "Realtree Edge" camo finished polymer stock, a 3 round detachable box magazine, a Kimber recoil pad, sling swivel studs are installed in the stock.